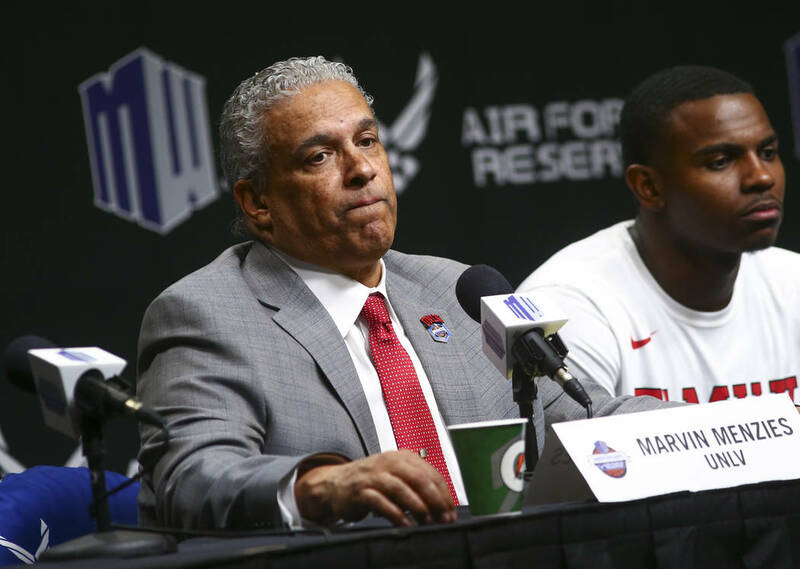 UNLV basketball players mostly declined to comment or did not return messages about the firing of coach Marvin Menzies. The one player who spoke, Bryce Hamilton, said the team was not happy with the decision. 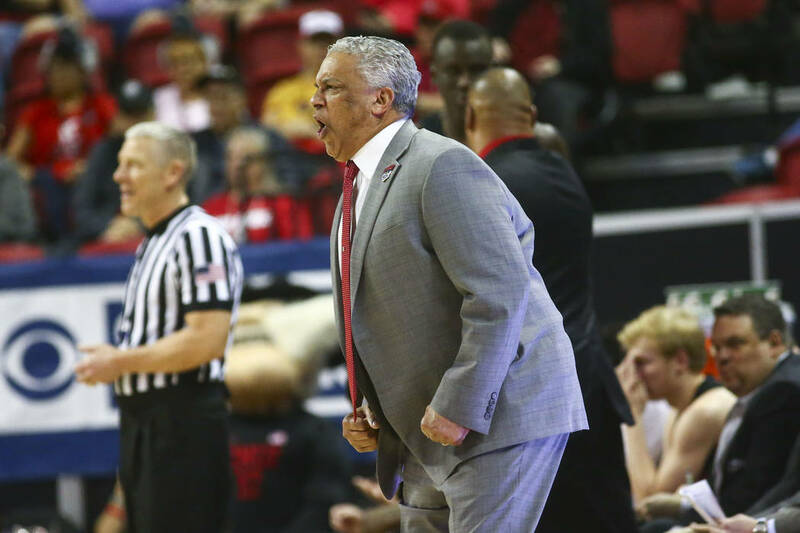 UNLV players were mostly quiet a day after their coach, Marvin Menzies, was fired. Only freshman guard Bryce Hamilton offered an assessment, saying Saturday that the team “didn’t like it” when it was told of the decision by athletic director Desiree Reed-Francois to fire Menzies on Friday. UNLV went 17-14 this season and 48-48 in Menzies’ three seasons. The Rebels improved their Mountain West standing each season, this year tying conference tournament finalist San Diego State for fourth place. Reed-Francois said she made the change because she wasn’t optimistic about the long-term direction of the program. Menzies has not spoken publicly since the dismissal, and an attempt to reach him Saturday was unsuccessful. One of his assistants, Andre LaFleur, took to Twitter to voice his displeasure. The Rebels have won one Mountain West regular-season championship and three conference tournament titles. Since I have time…I will address a couple things…Someone used the word “Doormat.” Not true. Nationally, this once proud program was becoming relevant again because of Marv. I asked 2 Legends, how many MW Championships has UNLV won ever. One said “3” the other said “4”. The answer is 0. The progress that was made was significant. 15 hard working, high character kids were sent a strong message yesterday…#shutupanddribble…smh…@MarvinMenzies taught them that they must EARN IT!!! And believe me, they were earning it. 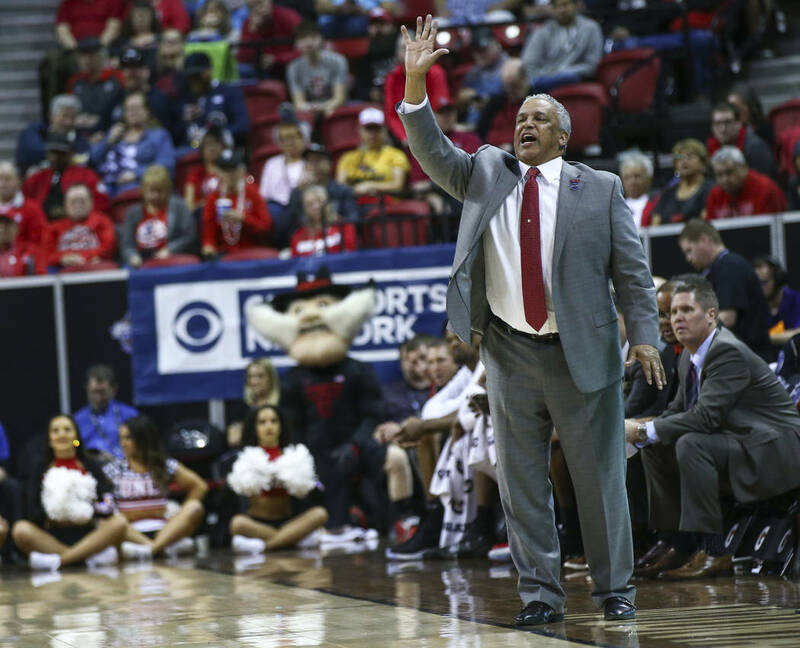 UNLV suffered a mass exodus three years ago when it went through its most recent coaching search, with Menzies inheriting just three scholarship players when he was hired. The two signees in the current class — point guard Ethan Anderson and Josh Pierre-Louis — tweeted Friday that they were opening the process again. Attempts to reach them for further comment were unsuccessful. This season’s Rebels weren’t talking, either. Three of them — senior Kris Clyburn and underclassmen Mbacke Diong and Shakur Juiston — declined comment. Others did not return messages. The one player who talked, Hamilton, wouldn’t comment on whether he would stay or transfer to another school. Menzies and Reed-Francois met with the players Friday afternoon. “(Menzies) was kind of bummed out, but he’s a strong coach and he stayed strong for us,” Hamilton said. Reed-Francois is on the road evaluating potential candidates and has reached out to some. She said the money is in place for UNLV to be competitive financially for a new coach. UNR’s Eric Musselman is the Mountain West’s highest-paid coach, making $1 million. Menzies’ salary this season was $700,000, tied for third highest with Colorado State’s Niko Medved and Boise State’s Leon Rice.